Citadel Canine Society Service Dogs for Veterans and First Responders. obtained his knowledge and skills using various methods from dog training classes, seminars, courses, he has also continued to enhance his human skills with College and University programs. created Dog First Aid and Awareness and was able to teach this course along with his dog owner training in Canada and the US. 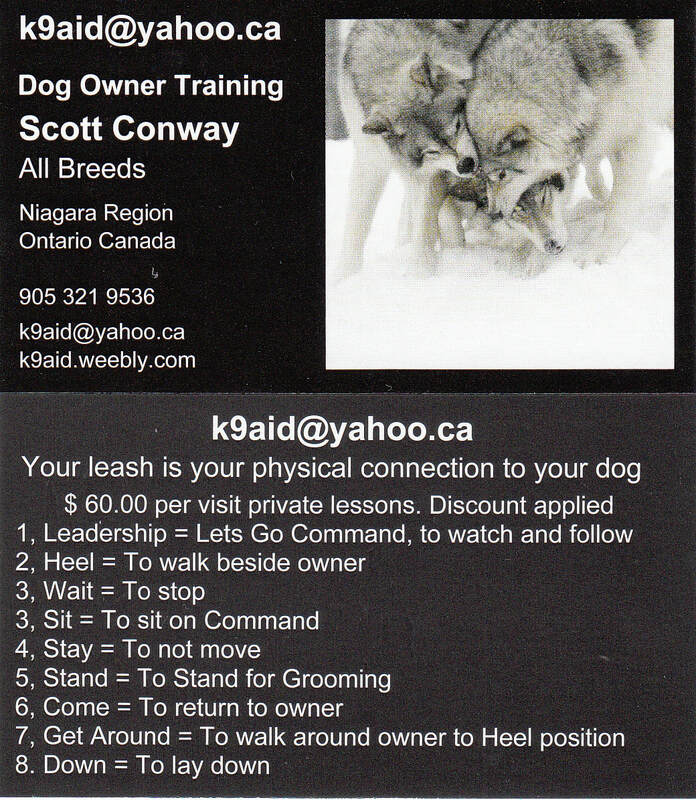 He was previously a Professor at Niagara College teaching Dog First Aid and Awareness. Bridging the Gap Between Humans and Dogs is his first published book and can be purchased on Amazon.com Scott's book is now in Canada, United States, England, Germany, Australia, New Zealand, South Africa and Ireland. P.A.D.I. Medic First Aid,Oxygen Admin. Youth Brigade Superintendent &Training Officer.